Abby loves to help Kenzie eat. Kenzie is a pretty good eater, but she does have an opinion about which foods she likes. She keeps her mouth open and makes a face to the vegis. She's eating all sorts of pureed food, teething biscuits, formula (I finished nursing at 8 months) and Puffs. 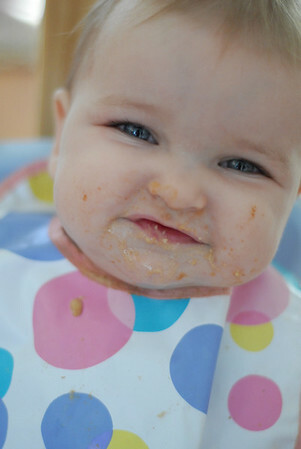 I'm not very brave when it comes to solids because of choking fears.